More methods of keep live prawns alive longer. If you have not read "Keeping Prawn Alive I", before you reach here, I suggest you go back and read that page before proceeding to digest this page. After understanding the cause of death to the prawns, these are a few tricks you can use to prolong your prawns life under different circumstances. Buy or pre-freeze some ice and pack it into a plastic bag, tie it up with a rubber band or string, making sure that the fresh water from the ice will not be able to leak out of the bag when it melts. When you go to the tackle shop to buy your prawns, ask the shop keeper to put the packet of ice into the bag, together with the prawns you are purchasing before he pump it up with oxygen and secures it. The ice will keep the water cool for some time and the prawns should last at least 2 to 3 hours longer, assuming the bag is packed properly and the air doesn't escape along the way. This will take a bit more effort, you need to prepare seawater from a salt mix, or you can go to the seaside to get it but I find it easier just to mix it from a dry mixture as I keep marine fishes. You need a hydrometer and a strong air-pump. You need to pre-mix the water 2 days before you buy your prawns(do not use water that are mixed immediately, it will kill the prawns), the bigger the surface area of the container the better it is, I use normal foam ice box. You need the hydrometer to get the right salinity which is about 1.025. There is usually a range marked on the hydrometer to indicate when you're in the right range. 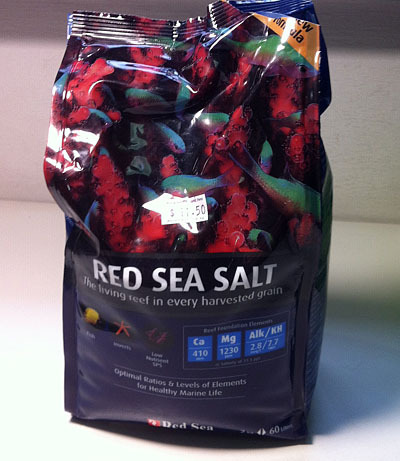 Aerate the salt mix from then onwards and keep it in a cool place, when you buy your prawns leave it in bag at the same cool place for awhile to cool down the water in the bag, normally when you bring the prawns back home the temperature in the bag is higher. After awhile you can catch the prawns out with a net and transfer them, into the fresh seawater. Depending on the amount of prawns and the amount of water you've prepared, the prawns could stay in there happily for a number of days. If the day gets too warm, freeze half a 250ml bottle of water and drop it in there to cool the water down. Make sure the cap is tight.